Hi there…my name is Lorraine also known as…. 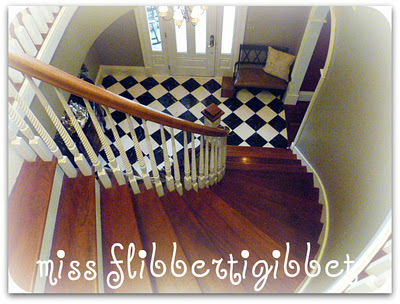 miss flibbertigibbet! 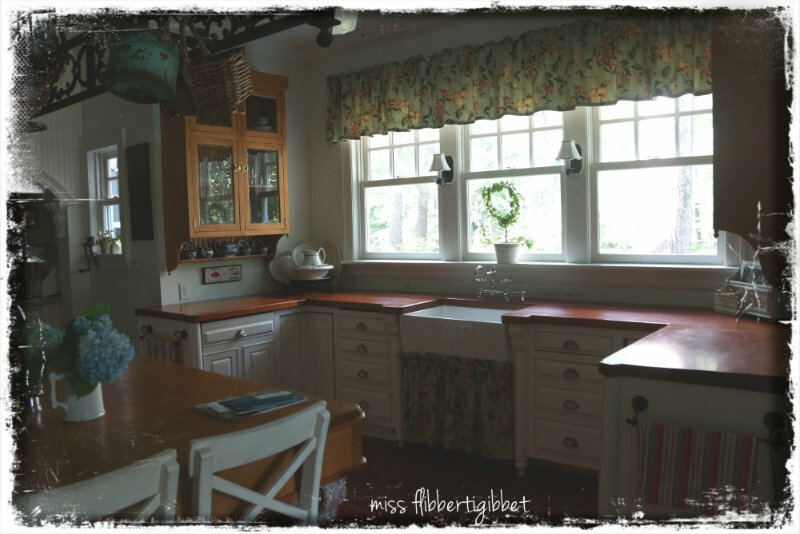 I was SO excited when Debbie asked me to share my home in one of her spotlight features! I immediately emailed back “YES” and told her how excited I was! Pictures of THIS all over the bloggyworld? OMG!! Suddenly, I looked around and saw every angle as a photo op and thought “oh no”. As I followed along on her other spotlights I began to feel a sense of dread. Everyone seemed to have a ‘finished’ house. EVERY room was decorated completely and beautifully. I have always loved my house and this feeling dismayed me. When I communicated my insecurity to Debbie she immediately reassured me and boosted my spirits. We built this home with a lot of love and hard work. We believe strongly that our home is an extension of us and our faith. for an extended period of time because they had a need. Now, as most of you know, we have taken in five children who needed a home. it is still a very beautiful home and one in which we are privileged to live. I took a deep, cleansing breath and decided I would take the best pictures I could with what time I had and leave it at that. Debbie was just the catalyst! So, with a completely peaceful and thankful heart…. Instead, I am going to tell you some of our story and how we achieved this dream. So, less about decorating and more about the building…hope that works for you! We have lived here in Virginia for about 34 years. This is our third house here and we had two before that in Southern New Jersey, where we married. So this is the fifth home we have created together. We have built two houses …this is the second one. The first time we were in our 20’s and this time we were in our 40’s. We noticed a difference for sure! what can I say, we were young and crazy! So, I know what it is to live in a small place even though we are blessed to have this large, beautiful home now. to create an home that felt like it was from another century. house I wanted when we decided to build. I liked SO many styles! But, which one suited us and our lifestyle best? and a large wrap around porch. 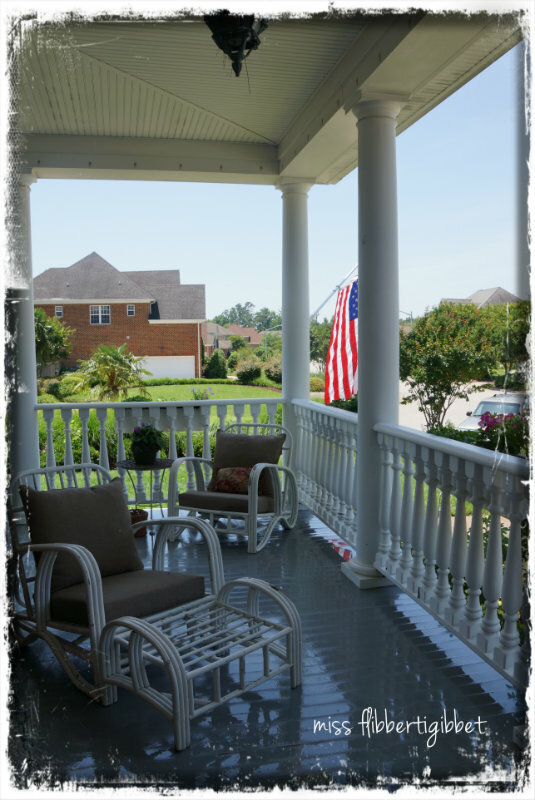 We saw many large porches on the old homes we loved along with big thick pillars. 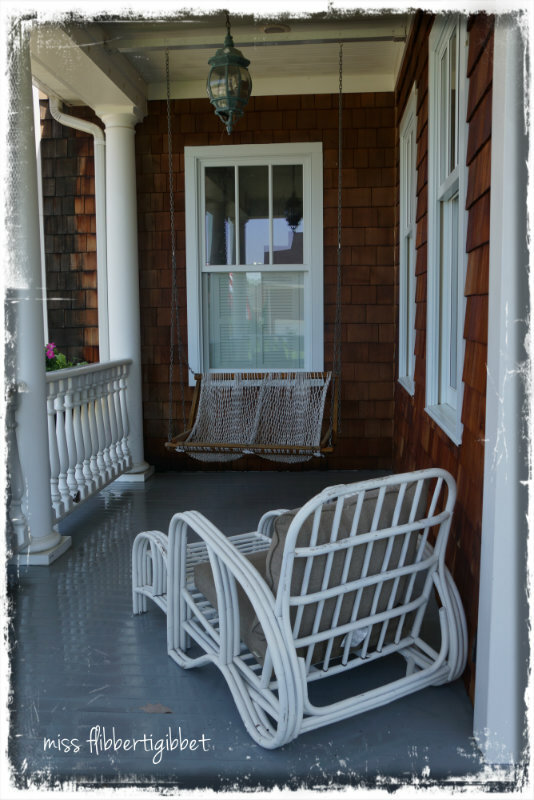 And plenty of room for rocking chairs! Plus, we would now be on the water and it seemed very suited to the setting. We started with a set of plans from Southern Living and gradually changed most of it. My husband took architectural design in school and could draw the plans. I took some similar classes as well so had an understanding of blueprints and space. We worked well together…as long as he did whatever I wanted...LOL! Older homes so often need new electrical, new plumbing, have no insulation, may have foundation issues….and on and on he would go! and so I agreed to leave my completely remodeled house that I loved and move out here to an area I only visited once a year when I picked strawberries. I mean there wasn’t even a TJMaxx!! The house took 18 months to build. because we were not comfortable doing the natural gas ourselves. Everything else was us, including my husband building all the cabinetry you see anywhere. One if the things that sold us on the land, was the view. None of this was developed along the right side and we initially looked at that opposite lot you see behind the birdhouse. we knew we had found the place for us! My husband grew up in the tidal area of South Jersey near Atlantic City. He had his first boat when he was 11yrs old and he really wanted to live on the water when he retired. So, this was just perfect. 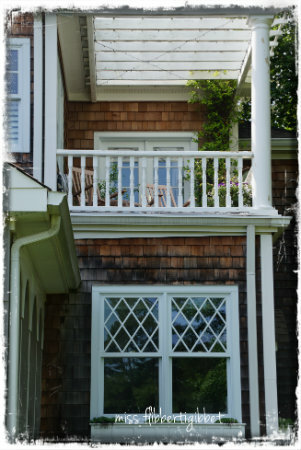 A screened in porch in a coastal area is almost a necessity. who do a fair job of keeping mosquitos away. Memorial Day weekend, we re-screened and repainted the whole thing! It needed it badly, too many bugs were coming in through all the holes! 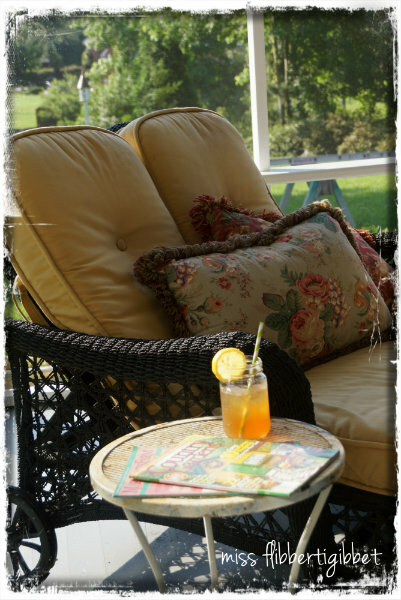 I should do that one day…..
On the opposite side is this great big sofa we found on sale at Kettler many years ago. I brought that demijohn you see on the floor all the way back from Paris! There’s the faux Ballard urn I made for one of Debbiedoo’s Copycat parties! There’s also a view of the water if you sit on the right end of the sofa! As we designed the house, we spent weekends driving around through older areas of Norfolk, our neighbor city. 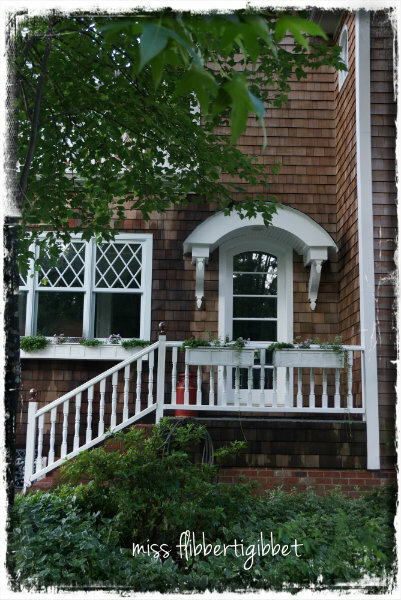 We saw many exterior details that we loved. as you often see in more modern houses. We used that theme in our design. 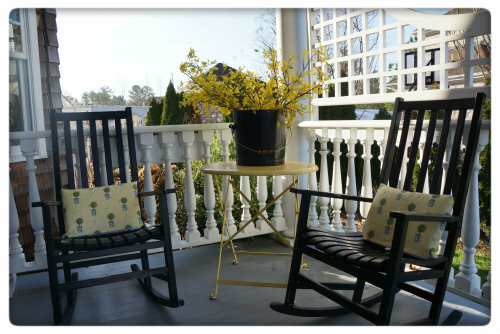 To the right of the porch is the breakfast area. are those over the tub in the master bathroom. small curved roofs over doorways, an idea we used as well. This is the back door off the breakfast area. 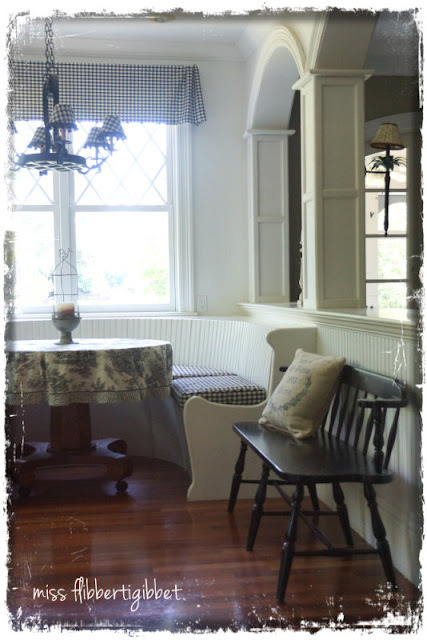 One of the things we both loved about older homes was the gracious spaces inside. and there were transition areas between rooms. 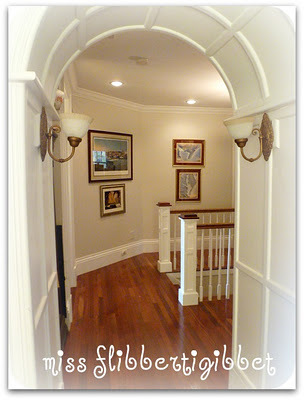 As you look through that arch, to the right is a bathroom and to the left is a closet. 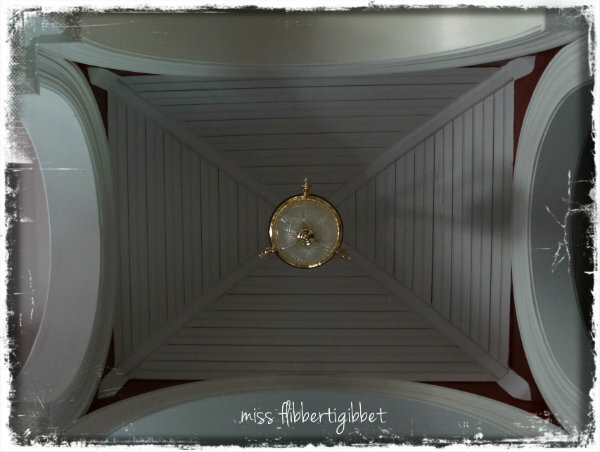 My talented husband did this ceiling in the small transition area…isn’t it great? 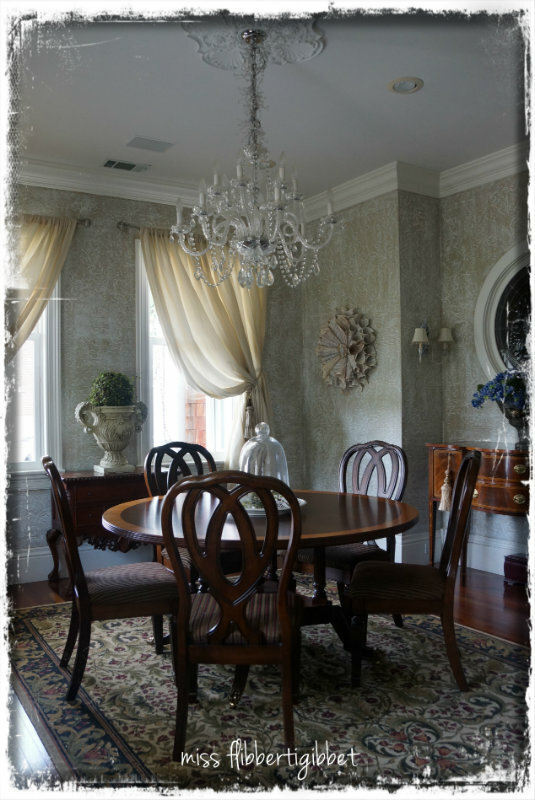 To the left of the foyer is the dining room. I just repainted it. I really like how the wall treatment came out! and to the left of the breakfast area is the kitchen. On the left side of the living room is this huge media and storage center. We finished it just before Thanksgiving. And after it was finished. On the opposite side of the living room is the fireplace. I still have the Spring decorations up. I used an image from the Graphics Fairy to do the mirror. To the left is the refrigerator…in the aqua cabinet! I did find the inspiration magazine picture for that..
Back to the entrance and to the right is the sink area. This kitchen was our greatest feat in building this house I think. 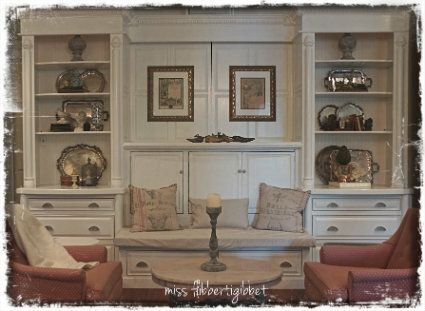 Remember, I told you that my husband did all the cabinetry. 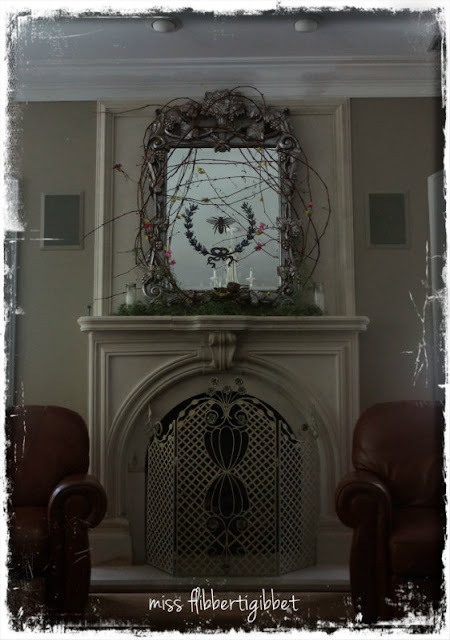 He had to plan it all and build it before we started the house…. to devote to cabinetmaking; it had to be done in advance. We measured SO carefully and had our hearts in our throats the day we installed everything. 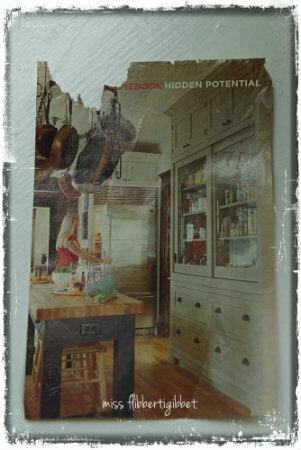 Smallbone of England and Plain and Fancy, here in the US. We even drove to DC to visit a Plain and Fancy dealer so we could see the cabinets in person. Something that many of you who are younger may not realize, but at the time we built, it was very difficult to find anything like this for sale anywhere here. 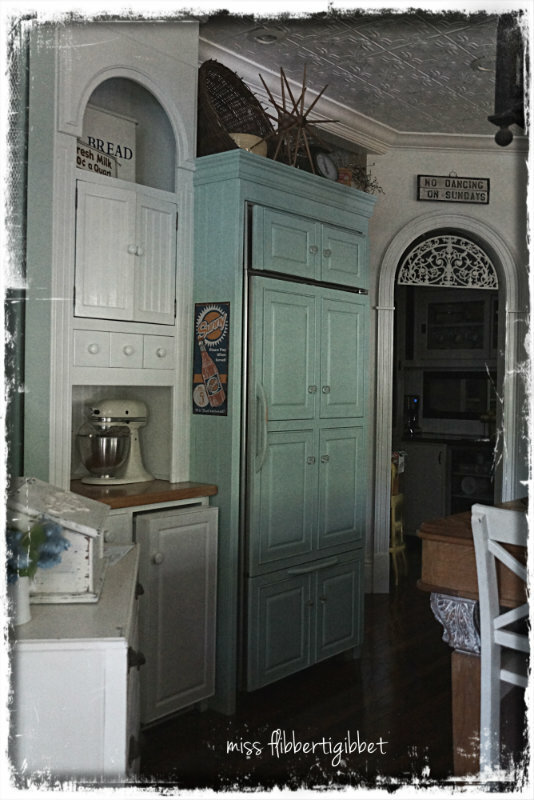 I was seeing this kind of ‘unfitted’ kitchen in my decorating magazines but it was not a common thing like it is now. 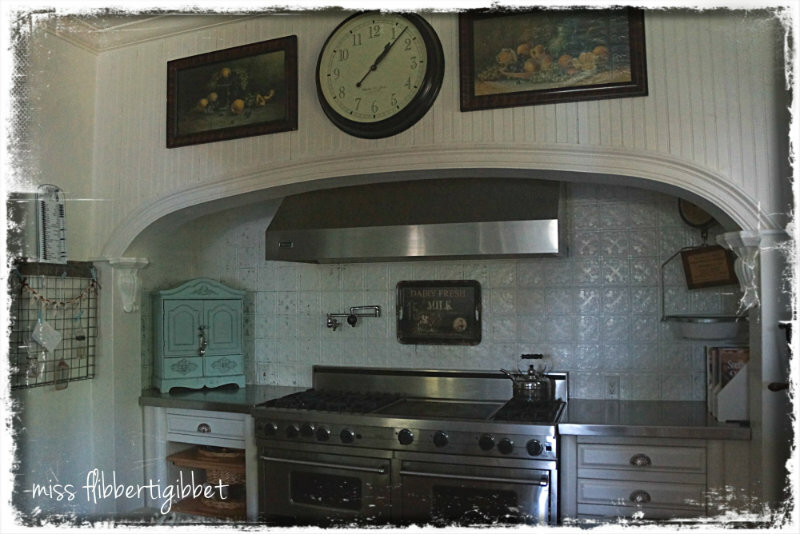 Notice the pot filler above the stove? 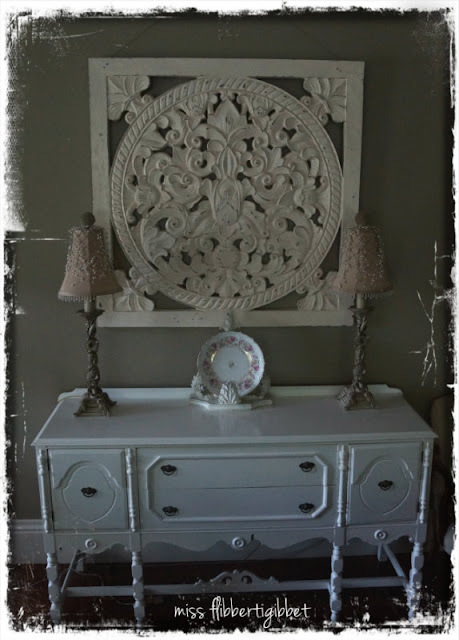 Same for the clay farmhouse sink…..had to get that from England. Now, of course, you can walk into Home Depot or Lowes and find all these things easily. So this kitchen is a real victory for us! all made by my husband. He really deserves a lot of praise for all the hard work he put into this home! 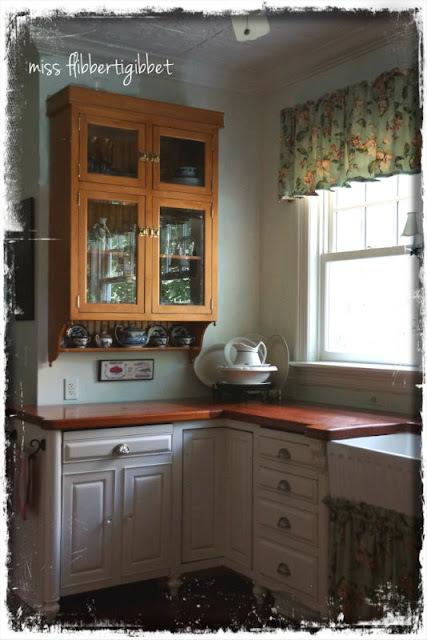 He built these matching glass fronted cabinets out of maple. 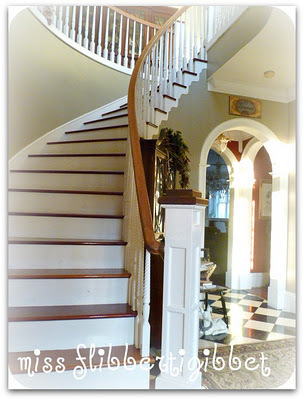 On to the upstairs…which is much shorter…I promise! Upstairs is a good example of space used up in just hallways and transition areas. What most contractors would deem “wasted space”. We were moving from a traditional two story, center hall home which was built in the 60’s. 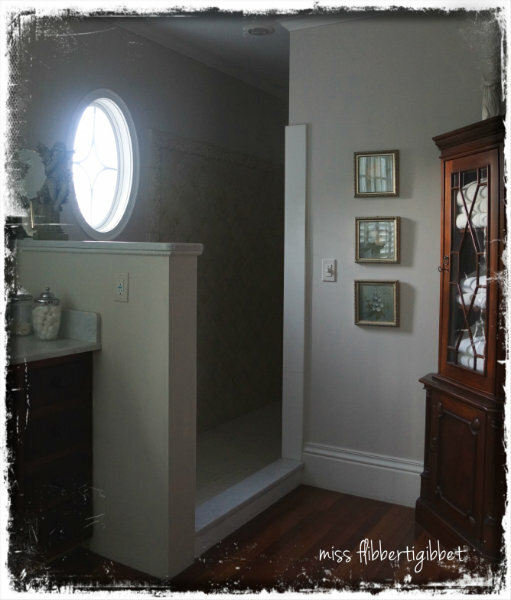 The upstairs hallway was a long narrow space with doors opening into bedrooms. The stairwell was completely closed except for a short bit in the foyer. We had experienced many times how difficult it was to move furniture around in that type of house and we wanted more openness in this house. The resulting large square footage then was a result of some of these design features. The downstairs ceilings are 10 ft and the upstairs are 9 ft.
Because we had a large attic, our home just fell into the height limit for our neighborhood. In the days before computers, magazines were my friends and I had several boxes full of pictures I had been tearing out for about 25 – 30 years. I began going through them and creating some notebooks of ideas. 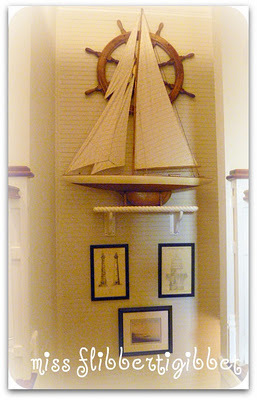 Many of those ideas were incorporated into our home. Somewhere is a picture of an archway like this one. We are looking through from the top of the foyer stairs to the back hallway and the second set of stairs which ends in the downstairs hallway near the kitchen. Going down the back stairwell. 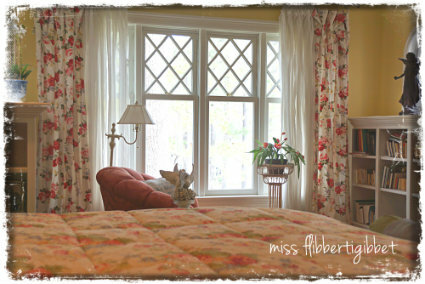 First we’ll pop into the master bedroom. My husband and I are at a standoff about using old doors for a headboard. So…plexiglass to protect the painted wall until he gives in…..
because my husband painted this room himself and he loves the yellow. I don’t dislike it, in fact, when I wake up each morning, it is the prettiest sight ever. Remember the tablecloths I used for curtains? Did I ever mention I love books? that is a genetic need for every male. See that space on the left leading to the balcony? A contractor would call that completely unnecessary….but I call it pretty! We could do these things because we built it ourselves. Did you know that 75% of the cost of a house is labor? We decided on a walk in shower because I hate shower curtains. and why they (builders) hang them over the toilet paper is beyond me…. ….so I hid ours behind the little half wall. 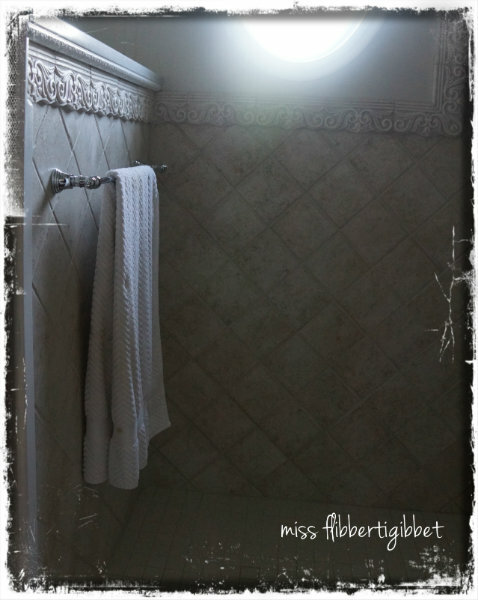 I tiled all the bathrooms myself….three in total. As you leave, you can see that I haven’t painted the French doors. with three girls using the bathroom. There are a couple pics here from a previous posts. See I promised the upstairs would be short! Are you tired because I am! remind me to not do this again anytime soon! my house looks fabulous dahling!! Better than it has in a long time! And thanks to all of you for visiting our home! Blessings to you all and happy decorating! THANK you Lorraine! I am flattered you cleaned up the place just for me! 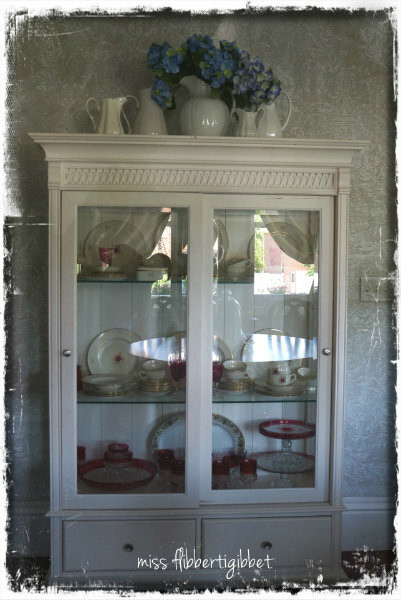 Lorraine’s home is stunning! As a person who adores old homes, it’s almost hard to believe this one isn’t old. It has alot of the charm & character found in old homes. They did an amazing job! Beautiful home, Lorraine. 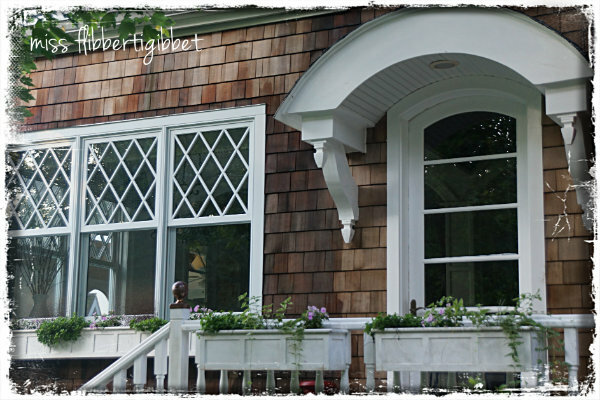 I love all the details and your windows are gorgeous. 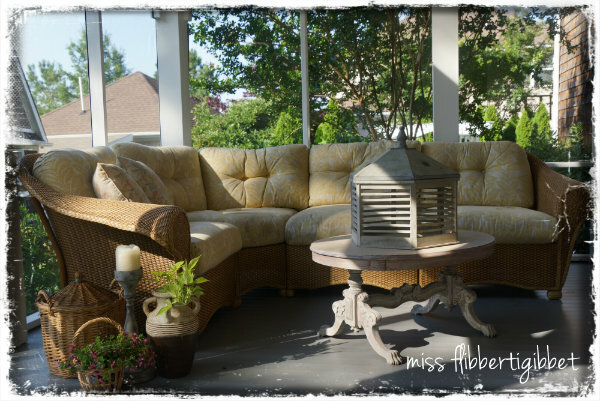 Love the outdoor living areas especially. Love love love her home!!! Thanks for giving us the tour Debbie! WOW! Amazing home with so much love put into the details! Just stunning! What am amazing house! I’m from NJ as well and debating on moving south after I get married. I love it in the south. I adore Lorraine…..but that house. 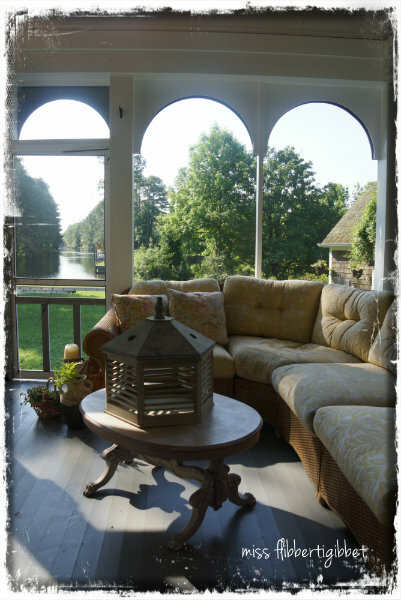 I have to study each picture for ideas….the built-ins….the views….and that ceiling. I am truly amazed! this is for sure a DREAM home and I am so happy you were able to make your dream come true.. I love everything about it and I applaud your efforts and yours skills. 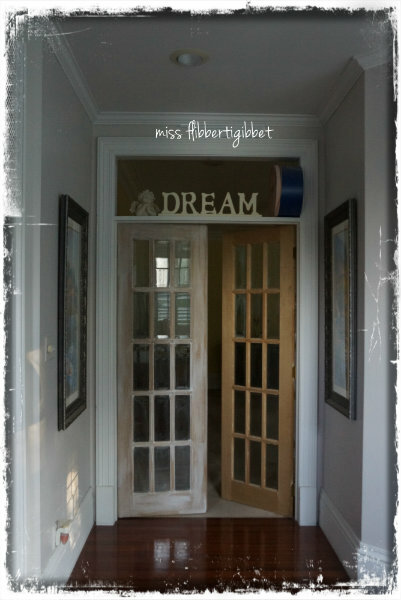 its exactly what I have needed for 14 years but until I saw yours I didnt realize it..
thanks so much for sharing your home with us and thanks to Debbie for featuring you so we woulnt miss it. OMG!!!!!!!!!!!!! This is GORGEOUS!!!!!!!!!!!!!!!!! It takes me back to my childhood, when my Grandmother would take us to Cape May, N.J. every year for vacation! I still love Cape May and go as often as possible. I will have to save this post to go over and over, I am IN LOVE with this house!!!! I AM clapping for your husband, he did a fabulous job! 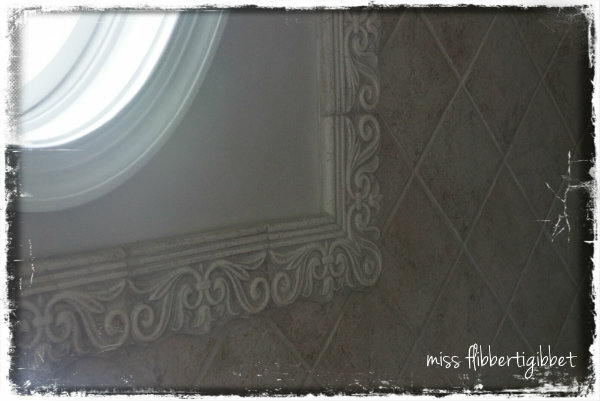 My hubby built all the bathroom cabinets and other things when we built this house too. XO, Pinky I have got to go see your blog now and start following!!!!!!!!! Wow…this might be my favorite home tour to date….I love the classic Cape Cod styling, and the architectural details are simply gorgeous! Thanks for sharing Loraine’s home with us, Debbie. I am really enjoying this series! Lorraine….your home is absolutely gorgeous!! 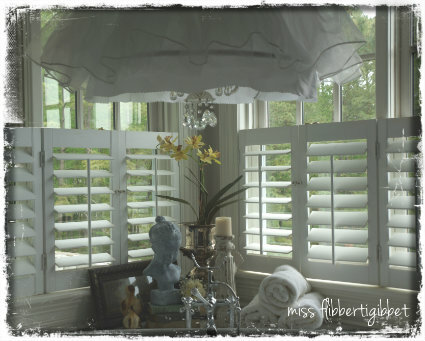 !…I love all the architectural details inside and out….It is obvious that you and your husband are incredibly talented in that respect…You have so many beautiful areas of your home that I have taken some inspiration from. 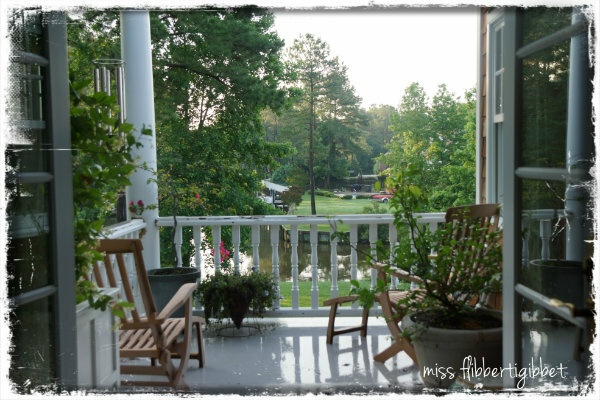 I love Virginia…one of my very favorite places to be….You have a beautiful view of the water from your porch…would love sitting out there anytime enjoying that view! I am not sure why you were nervous (but then again I was too) about the feature, as your home is stunning!!! And….kudos to you for your generosity of opening up your home to make life better for those you so graciously take in….that is so very admirable of you and your husband. 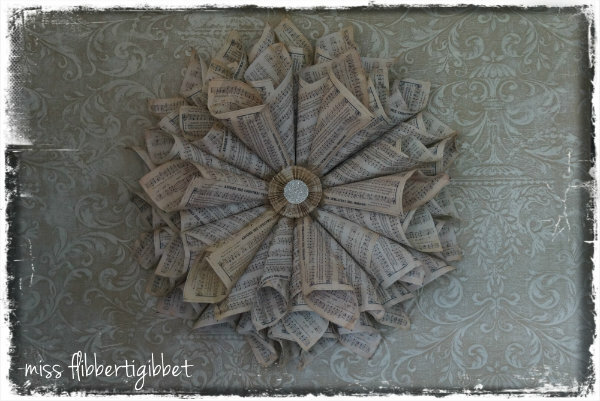 Thanks Debbie for this most wonderful home feature! !…A truly great one! You have got to be kidding me??? Are we all in the habit of doubting ourselves? Must be, because that house is amazing. In. Every. Way. I can not imagine NOT wanting to gab people off the street to look at it if it were mine! A complete dream home. From the exterior, to the location, the kitchen cabinets (clap clap), the attention to detail and the warmth in every room. Yay! I’m able to comment! Oh, her home is marvelous! I just love it. Thanks so much for featuring her and now I’m off to discover her blog. 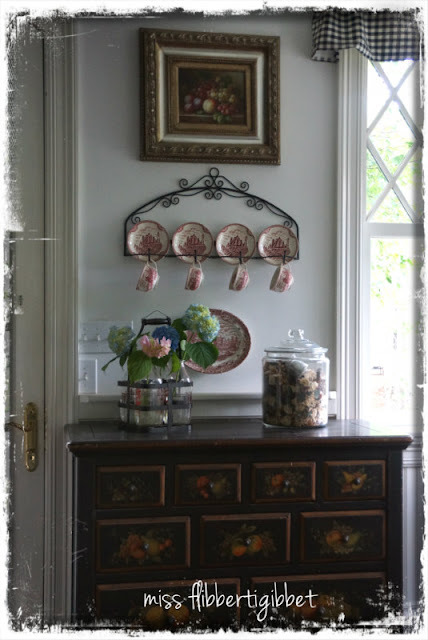 Lorraine, your home is stunning and you can tell that every piece and part is filled with love! 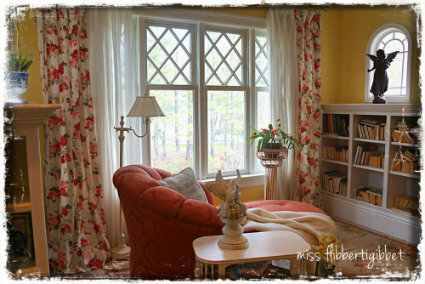 It is just stunning and the best part is that it looks comfortable and homey! Thank you for sharing! 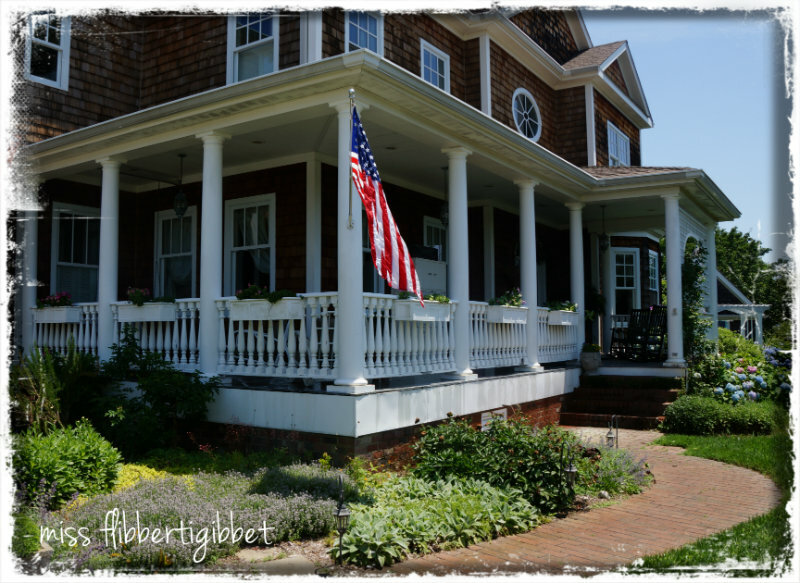 Gorgeous home….love the porches and the kitchen! I absolutely loved this home tour. Lorraine’s home is gorgeous! What a beautiful home! 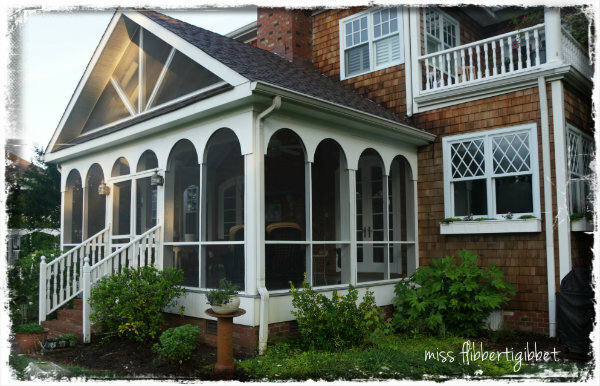 I love all the outdoor spaces, especially the covered balcony. Thanks for sharing it with us! This home is gorgeous. 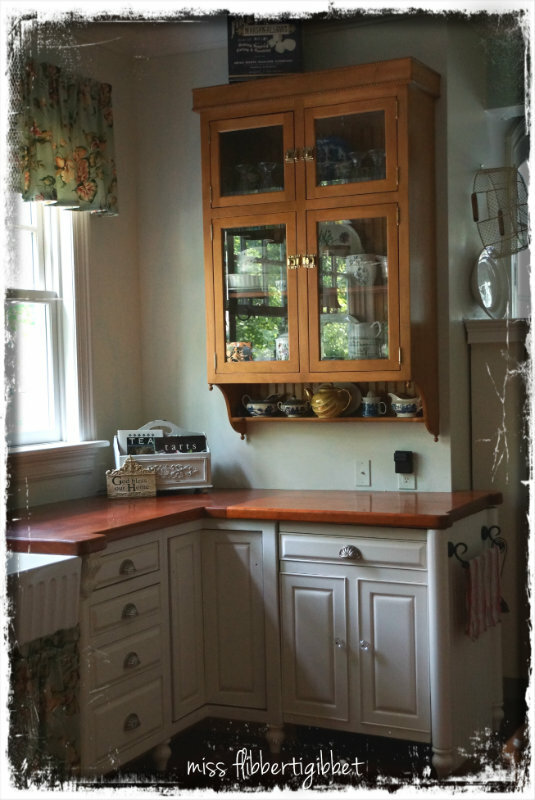 How amazing that her husband was able to build those cabinets as well as the house. I love all the extra touches. It was interesting to read there was a height restriction on houses in her neighborhood. I wonder if other neighborhoods have that, and it’s just never been an issue. WOW! do I need to say more? I am flibberty flabergasted!! 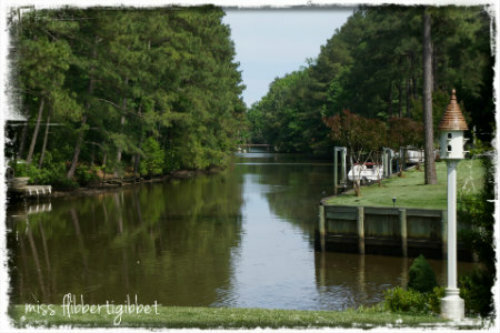 What a dream home, and on the water too! 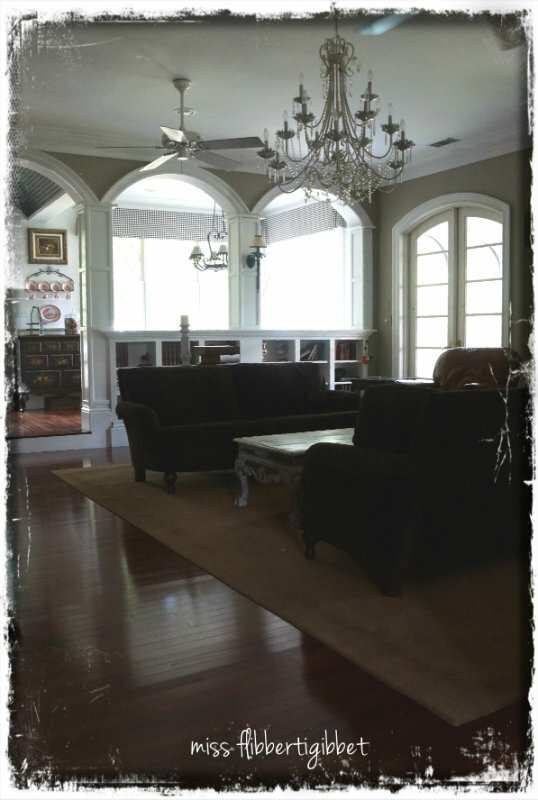 Lorraine, you should be designing homes…we will see you and your fantastic home in a magazine spread soon! FYI.. give in on his choice of the headboard. There is something genetic about that too. Loved the tour. What a charming home!!!! 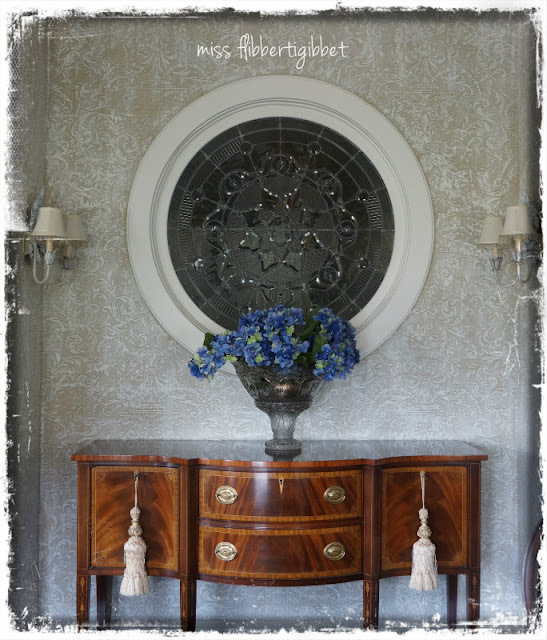 Wow – beautiful home and I really enjoyed the tour! It looks loved and lived in like a “real” house should! Thanks so much for sharing! 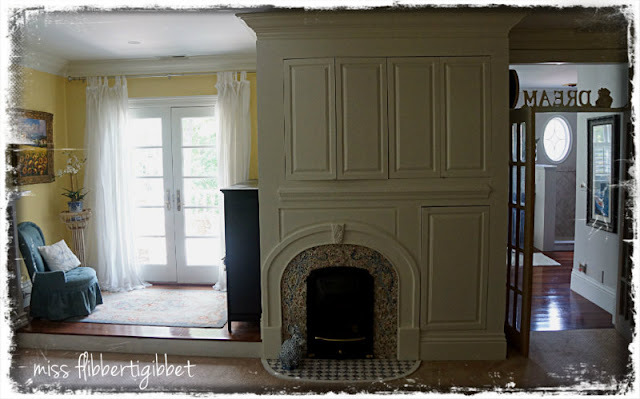 I so enjoyed this tour of a home created by two extremely talented people! 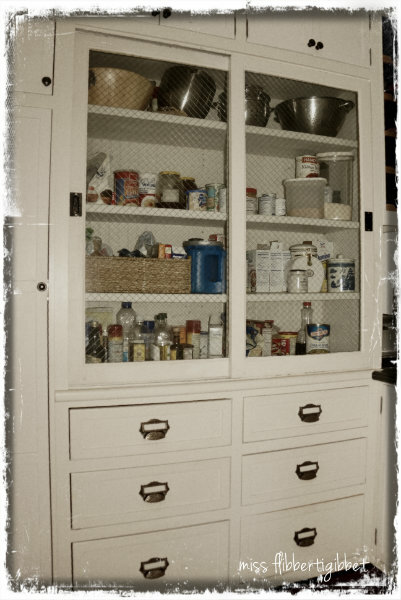 I loved seeing every nook and cranny, especially the kitchen. Thanks, Debbie, for sharing this one! Mrs. F…………. I had no idea. My jaw is hanging open and I’m speechless. And Debbie….. great pick. Seriously, I had no idea our own Lorraine, globe trotting to France, cooking and crafting machine that she is, was doing all those things in that gorgeous home. I’m in awe. Lorraine you (and your husband) outdid yourselves on this house. It is remarkable. What a wonderful place to live. You guys give new meaning to the phrase “if you build it they will come!” Your kindness and generosity are making such a difference in the lives of others! 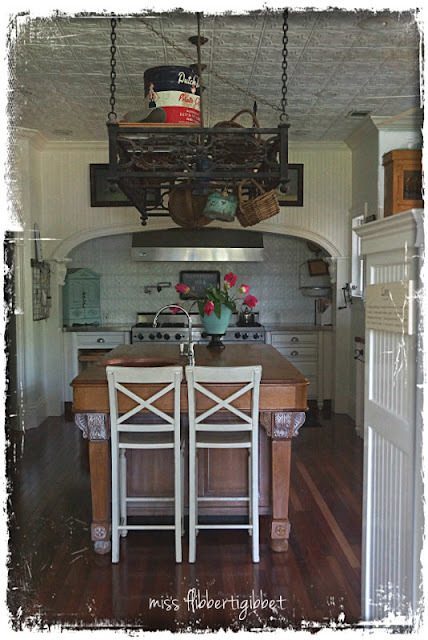 Now to the unimportant stuff…..that kitchen leaves me speechless. TO. DIE. FOR. 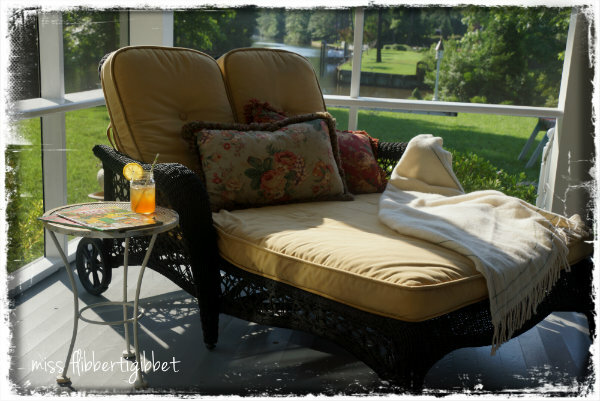 If I had that screened in porch I would sit down on that double chaise and not get up for the rest of the day. Someday YOU are going to do that! This is truly the house of a lifetime. Give all my kudos to the hubs for a job well done! Maybe if you show him my door headboard he could get a vision???? You home is simply beautiful inside and out! I love your porch spaces particularly. That wreath looks wonderful. I would want to copy that. I don’t know what the heck you were worried about. Your home is gorgeous!!!!! Great to know that someone else did a lot of the work themselves and worked day jobs. We did the same thing except we did not build the cabinets. 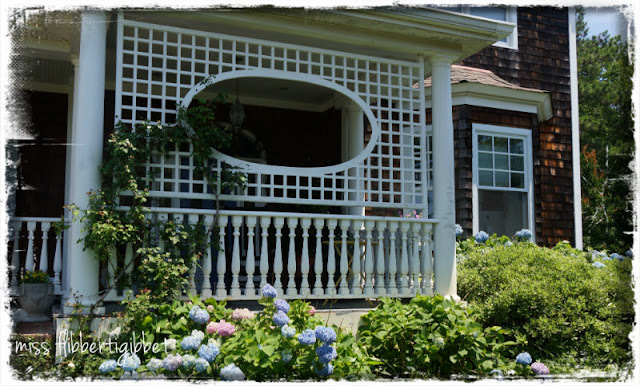 I love the style of your home and that gorgeous porch. It is all beautiful. Oh, thank you for showing us this house, I read every word and looked at every picture twice. I could only dream of living somewhere as gorgeous as that…..Not in this life time. What hard working blessed people they are to actually live here, it looks 100 years old, what talent they have! Lorraine, what a magnificent home you have! I love your decorating style right down to the last detail. Thanks so much for sharing with us. Just my style and the outside is fantastic!! LOVE IT!! Wow! The outside of this house is breath taking! I love it! The screened porch with that view is like nothing I’ve ever seen. I love all the architectural details of this house. Thanks for sharing. What a treat to see Lorraine’s beautiful home! I love old homes and they did such a wonderful job of capturing the feel of an old home. Just amazing! Well now I have to follow both of your blogs. Just find this home charming. Love every little detail. It’s been pinned and facebooked. Debbie, Lorraine, Thank you so much for this fabulous tour. Lorraine, you home is wonderful. I am thinking you said it is five years old. It has all the convenience of a modern home but the charm of a historic house. Your husband is a master craftsman. 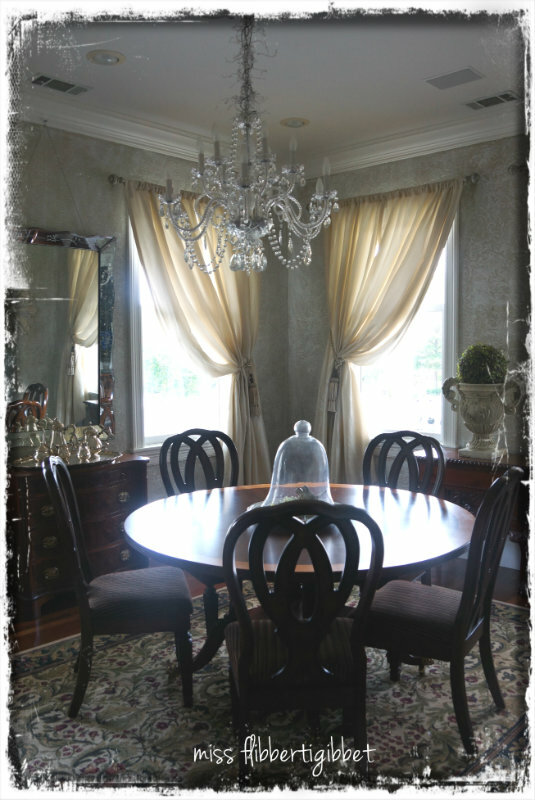 This home is gorgeous…thanks for sharing the photos! Heading over to Lorraine’s to read more, I just have to!